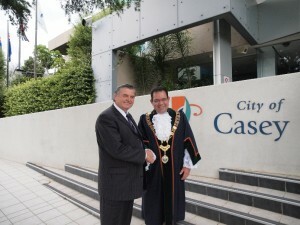 Cr Aziz said the visit from the Romanian dignitaries was a great chance to showcase the City of Casey. The visit was facilitated by City of Casey Deputy Mayor Cr Wayne Smith and his partner, Ina Stavril, who is of Romanian background.‘We are very proud of everything Casey has to offer, and this is a great opportunity to share our city with other parts of the world’, said Cr Aziz. 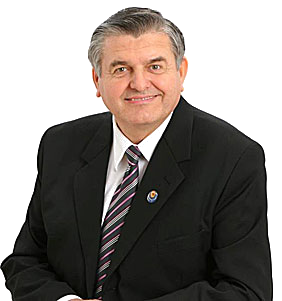 ‘It is especially significant to have the Romanian Ambassador and Member of Parliament in our city as we are home to one of the largest Romanian populations in Victoria. ‘This further demonstrates the extensive multi-cultural community that we are so proud to be home to in Casey, and the strong connections we have with communities across the globe. ‘We have been very privileged to meet with both Dr Michael-Stephen Stuparu and Deputy Mircea Lubanovici and establish a positive relationship with Romania. ‘It is a great opportunity for Casey to continue strengthening its cultural ties as we work towards creating a caring and safe environment and an innovative and sustainable city for all of our residents. ‘I am sure their trip was worthwhile and we have highlighted why Casey is such a great place to live, work and raise a family’.